Nielsen Professional Outdoor Services is our contractor of the week! 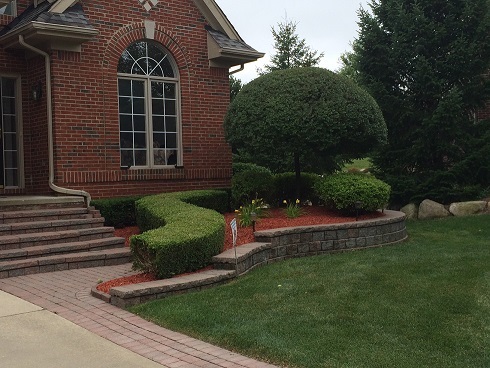 They offer full service residential weekly lawn service, fertilizer, weed control, tree & shrub care, outdoor construction & architecture, patios, retaining walls & walkways, landscape management, waterscapes, irrigation, fencing & so much more! Nielsen Professional Outdoor Services employs approximately 2-3 workers and was established in 1996. They primarily service the areas of Rochester, Rochester Hills, and West Bloomfield and can be contacted by calling 248-495-4618 or visiting their website at www.nielsenpro.com. Nielsen Professional Outdoor Services’ favorite piece of equipment from Hellebuyck’s is the Toro 6000 Series mower. Thank you Nielsen Professional Outdoor Services for powering your company with products from Hellebuyck’s! We appreciate you!